As Mark Twain put it: “It’s easier to fool people than to convince them that they have been fooled.” And, even when the dupe accepts his folly, sorry seems to be the hardest word. Frank Keating was governor of Oklahoma 1995-2003 and is responsible for its wind power calamity, as he calls it. Uncharacteristically of a modern politician, Keating taps into that fast disappearing virtue – grace – not only admitting that he was fooled, but sincerely apologising for the harm caused to Okies and their State. Everyone has been shocked to the core by the images of the inferno that engulfed the Grenfell Tower, killing 79 people. Most were horrified by the suggestion in the Times that the cause of the fire might have been penny-pinching on the type of cladding used in the recent refurbishment of the building. It seems unbelievable that they didn’t spend an extra £5,000 for fire resistant cladding. This is probably not the whole story. The revelation that a further 70+ tower blocks have failed fire safety tests tells us that there is an endemic problem. We don’t know the precise reasons for the fire yet, but we should certainly look at the influence of slavish devotion to green regulations. On any other topic than climate, even the idea of spending so much money for so little, if any, measurable benefit would be laughed out of sight without more ado. The much touted Paris Climate Accord aims at worldwide reduction of carbon dioxide emissions in order to keep global temperatures from rising more than 2°C above pre-industrial levels. This goal is purely arbitrary and based not upon any physical evidence, but upon the unproven assumption that carbon dioxide emissions play a significant role in global warming. What the Paris Accord really does is to transfer trillions of dollars from industrialized countries, mainly the US, to the sticky-fingered United Nations and to developing nations. It has a very minimal effect on global warming. Is science publishing bad for science? Many scientists also believe that the publishing industry exerts too much influence over what scientists choose to study, which is ultimately bad for science itself. Journals prize new and spectacular results – after all, they are in the business of selling subscriptions – and scientists, knowing exactly what kind of work gets published, align their submissions accordingly. This produces a steady stream of papers, the importance of which is immediately apparent. But it also means that scientists do not have an accurate map of their field of inquiry. The dash for renewables in South Australia has gone so badly wrong that crisis measures are now called for, as PEI reports. A large-scale temporary power solution is being considered, as South Australia struggles to ensure its energy security. A 250 MW ship-based power station is under consideration as a solution to the crisis for the Australian state, which has seen a lot of investment in renewable power over recent years, while old fossil stations were retired. 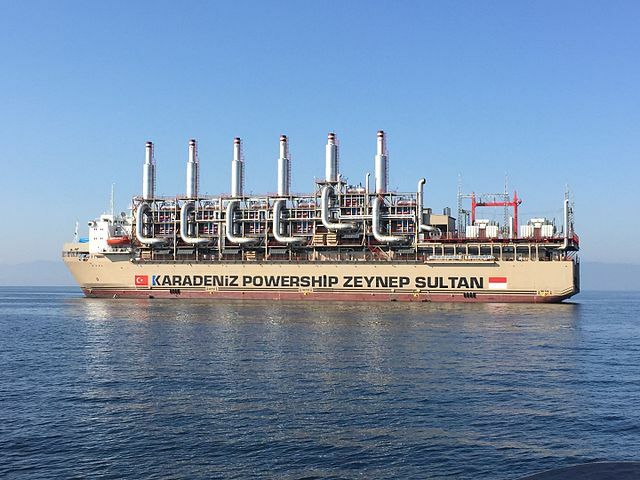 The Turkish ship could be operational by the end of the year for less than the $360m budgeted for a new state-owned gas-fired power plant of the same capacity. There’s the wind, water, and solar (WWS) vision promoted by a few academics, and then there’s economic and technical reality – with a seriously large chasm in between. A new paper prepared by the U.S. National Oceanic and Atmospheric Administration’s (NOAA) Earth System Laboratory and published in the Proceedings of the National Academy of Sciences (PNAS) is drawing attention in policy circles in the U.S. The paper critiques the claims of a study by Mark Jacobson et. al. that it is feasible, at low cost, to achieve 100% conversion of the U.S. electricity generation system to wind, hydroelectricity and solar energy by 2050 (the “WWS Vision”). No details of costs in this IB Times report, but Eviation claims that its electric aircraft is made possible by a new aluminum air battery. As electric cars slowly become commonplace in towns and cities, electric planes are slowly edging their way out of science fiction and into the real world. At the International Paris Air Show, Israel-based Eviation Aircraft revealed the first prototype of its all-electric airplane, called the Alice Commuter, which is claimed to have a range of up to 600 miles at almost 280mph. 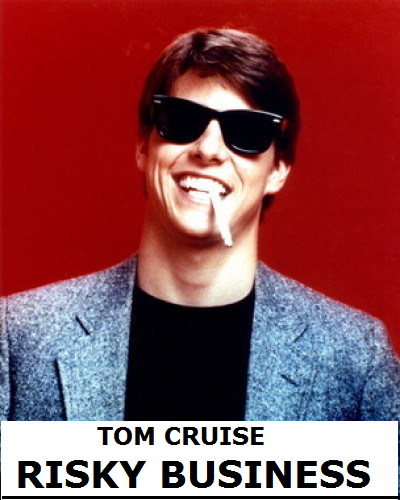 If Eviation can stick to that timeline then the progress in electronic aviation is nothing short of staggering. Just two years ago, Icelandic airline Wow Air ran an April Fool’s day joke about it launching an all-electric. It may be hard to imagine large scale use of kites to generate electricity, but this is the concept being tested in Scotland with some big name backers behind it. Kite Power Systems (KPS) has secured £2 million equity investment from the Scottish Investment Bank (SIB) says Utility Week. The Scottish economy secretary, Keith Brown confirmed the news yesterday (22 June), following a visit to Kellwood Engineering in Dumfries, where KPS’s latest 500kw demonstration model is being built. Brown said the company’s approach to wind energy “shows great promise”. “The company has recently relocated from Essex to Glasgow and this £2 million investment from the SIB will enable it to expand further and demonstrate the latest iteration of its kite power technology in Scotland,” he added. 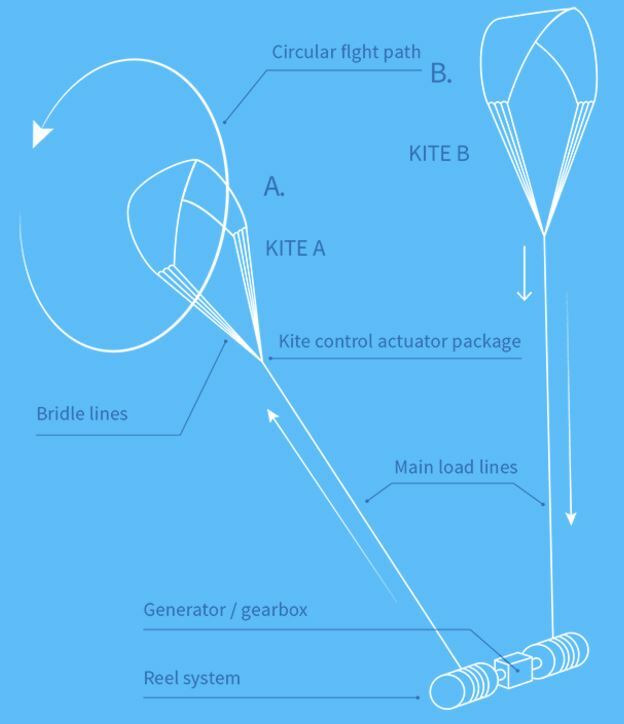 KPS has developed a power system that features two kites, which fly up to an altitude of 1500 feet. Both kites are attached by tethers to a winch system, which generates electricity as the winch spools out. Ron Clutz takes a closer look at some of the machinations of climate alarm propagandists in their endless attempts to manipulate public opinion. A new theme emerging out of the IPCC Fifth Report was the emphasis on selling the risk of man-made climate change. The idea is that scientists should not advocate policy, but do have a responsibility to convince the public of the risks resulting from burning fossil fuels. Climate miserablists – look away now. If only Yes Minister had done global warming. Well, it has now, in the new stage version. It’s hilarious, absolutely to the point, and a must watch. Yes Prime Minister Global Warming etc Part 1 from Aris Motas on Vimeo. Yes Prime Minister Global Warming etc Part 2 from Aris Motas on Vimeo. Yet another supposedly ‘climate-friendly’ policy gets called into question as Phys.org reports. ‘Costs a fortune’ and ‘has little effect’ are two of the criticisms. 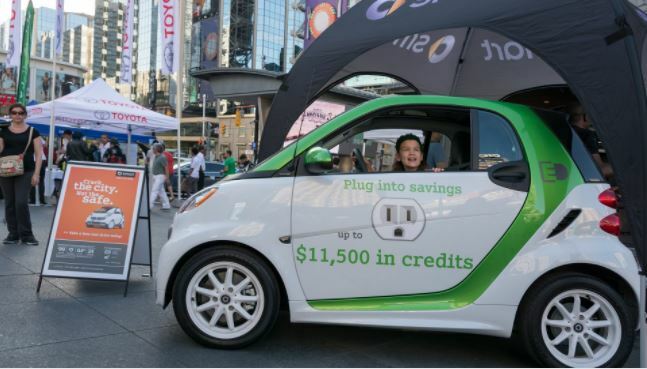 Subsidizing the purchase of electric cars in Canada is an inefficient way to reduce greenhouse gas emissions that is not cost effective, according to a Montreal Economic Institute study released Thursday. “It’s just a waste,” said Germain Belzile, one of the authors of the study, which examined electric vehicle subsidies offered by Canada’s two biggest provinces Ontario and Quebec, which can rise to as much as a third of a vehicle’s purchase price, depending on the model. “Not only do these programs cost taxpayers a fortune, but they also have little effect on GHG emissions,” he said. The government of Quebec has set a goal of having one million electric and hybrid vehicles on its roads by 2030, up from 6,000 currently. Ontario has the same objective. For some reason the UK has chosen to pay a lot more for its new nuclear power than anywhere else, using untried and complex technology, and now even the country’s own auditors are complaining about it. The fear seems to be that it could prove to be a vastly expensive pig in a poke. UK government plans for a new £18bn nuclear power station have come under fire from public auditors, who call it “a risky and expensive project”, BBC news reports. 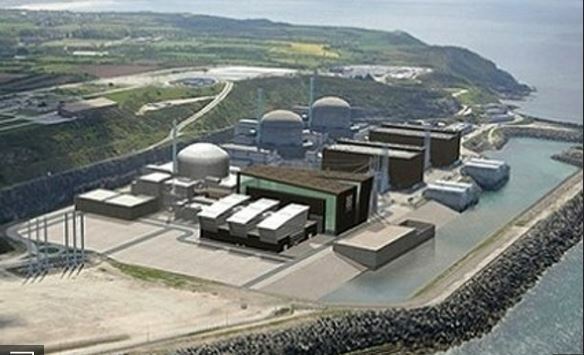 The case for the Hinkley Point C plant in Somerset was “marginal” and the deal was “not value for money”, according to the National Audit Office (NAO). The NAO said the government had not sufficiently considered the costs and risks for consumers. The government said building the plant was an “important strategic decision”. The report comes nine months after the government granted final approval for the project, which is being financed by the French and Chinese governments. 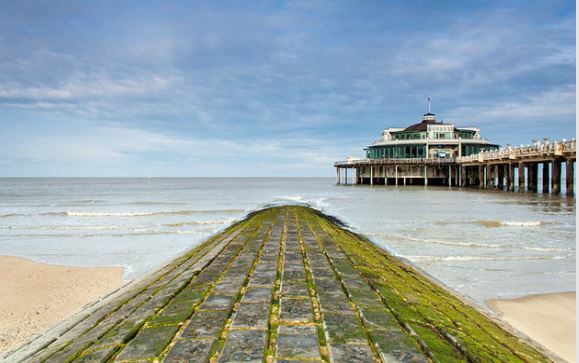 Taxing the weather – EU member states may have to cough up climate dues as part of the cost of supporting the seemingly insatiable Brussels bureaucratic machine. Due to Brexit and other new commitments, the EU will soon be short of € 25 billion, reports The GWPF. EU Budget Commissioner Günther Oettinger, therefore, wants to introduce new revenues for the EU in form of a climate tax. In addition, he wants to take Brexit as an opportunity to remove not only Britain’s EU rebate but similar discounts for other EU member states. “When the British leave, the rebate negotiated by Maggie Thatcher falls away; I want to use this opportunity to cancel all discounts, including those for Denmark and Germany,” Oettinger told SPIEGEL. “After the departure of the British, we are likely to be short of at least € 10 billion a year,” he said. “I can imagine that half of this sum can be saved, and the remaining members will divide the other half among themselves,” the EU Commissioner said. Germany, for example, receives a discount on the additional costs incurred as a result of the British discount. The BBC breathlessly reports a MET-office reported temperature of 34.5C at Heathrow yesterday, but what does the actual data say? Is there a contradiction in this IB Times report? First it says volcanism causes cooling, then we’re told the resulting volcanic CO2 could have caused warming. High concentration of mercury identified in ancient sediments suggest that large-scale episodes of volcanism coincided with the end-Triassic mass extinction around 201 million years ago. It is likely that these huge pulses of volcanic activity led to great environmental perturbations, leading to the extinction of many species living on Earth at the time and setting the scene for the dawn of the dinosaurs. 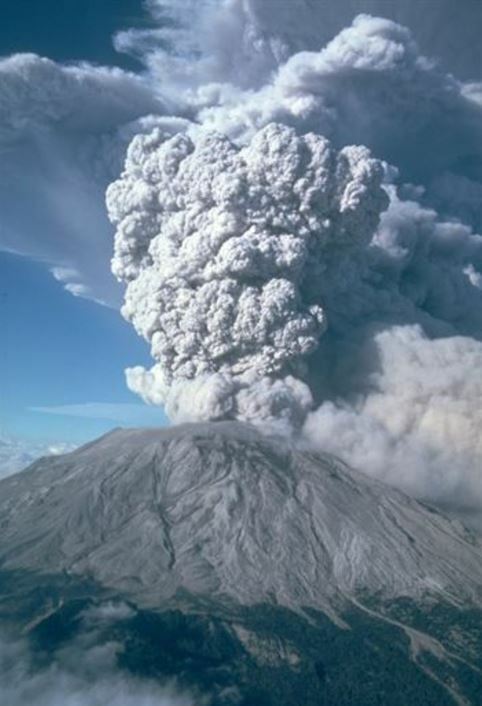 Previous studies had already shown that volcanic activity was happening around the time of the extinction and there was some evidence for an increase in the concentration of carbon dioxide (CO2) in the atmosphere. Tesla Model S – this is the only way you’ll keep warm in one during winter. Huge hopes tied to electric cars as the solution to automotive climate problem. But the electric car batteries are eco-villains in the production. Several tons of carbon dioxide has been placed, even before the batteries leave the factory. IVL Swedish Environmental Research Institute was commissioned by the Swedish Transport Administration and the Swedish Energy Agency investigated litiumjonbatteriers climate impact from a life cycle perspective. There are batteries designed for electric vehicles included in the study. The two authors Lisbeth Dahllöf and Mia Romare has done a meta-study that is reviewed and compiled existing studies. The report shows that the battery manufacturing leads to high emissions. For every kilowatt hour of storage capacity in the battery generated emissions of 150 to 200 kilos of carbon dioxide already in the factory. The researchers did not study individual bilmärkens batteries, how these produced or the electricity mix they use. But if we understand the great importance of play battery take an example: Two common electric cars on the market, the Nissan Leaf and the Tesla Model S, the batteries about 30 kWh and 100 kWh. 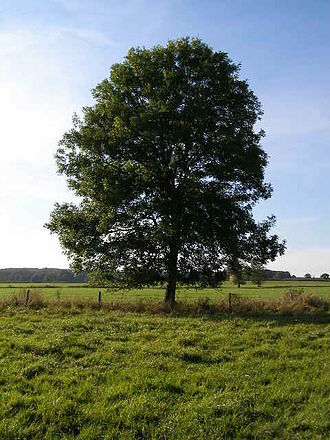 If absorbing carbon dioxide is the idea, which is better value for money: big technology, or plain old-fashioned trees? On May 31, 2017, the world’s first commercial atmospheric carbon-capture plant opened for business in Hinwil, Switzerland, reports Climate Change Dispatch. The plant, designed and operated by a Swiss company called Climeworks, is different from existing carbon-capture facilities because it filters carbon dioxide out of the ambient atmosphere using proprietary technology, rather than from industrial exhaust, which is quite common. Climeworks claims their facility will be able to remove 900 tons of carbon from the atmosphere every year. Furthermore, its modular design will allow it to be scaled up as the demand for carbon dioxide increases. What do they plan to do with said carbon? Are we nearing the end of the road for further large-scale wood pellet burning at UK power stations? Cheaper gas from either US or UK fracking must now be influencing business plans. PEI reports the UK’s biggest power producer Drax is considering the conversion of its remaining coal-fired power units to gas, instead of biomass power, as originally planned. Management believe a gas-fired power conversion would allow the company to qualify for 15-year contracts in the country’s capacity market auctions. 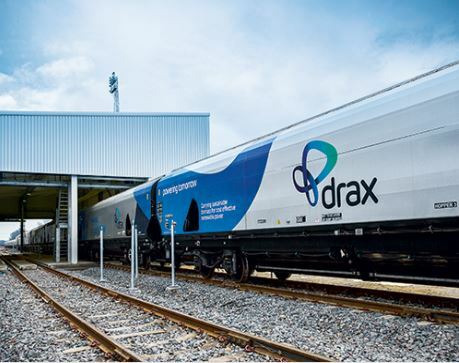 As the government has already changed its stance on renewable energy subsidies which had made biomass conversion attractive, this would be a logical step for Drax. The company has already converted half of its Yorkshire coal plant to burn wood pellets, but plans to switch the remaining units to biomass have since halted due to the government decision. The article below was contributed by Istvan Marko, J. Scott Armstrong, William M. Briggs, Kesten Green, Hermann Harde, David R. Legates, Christopher Monckton of Brenchley, and Willie Soon. On June 2, 2017, in a Letter regarding US withdrawal from Paris climate agreement addressed to the MIT community, Professor Rafael Reif, president of MIT, criticized President Trump’s decision to exit the Paris Climate Accords. In this refutation, we propose to clarify the scientific understanding of the Earth’s climate and to dispel the expensively fostered popular delusion that man-made global warming will be dangerous and that, therefore, the Paris Agreement would be beneficial. There is no science unambiguously establishing that CO2 is the chief cause of the warming observed since the end of the Little Ice Age. The opposite has been repeatedly demonstrated. Ice cores have revealed that changes in CO2 concentration follow, rather than precede, changes in temperature. During the last deglaciation, the latest high-resolution records show atmospheric CO2 lagging temperature by 50 to 500 years. Our enterprises and industries return to the air some of the CO2 that was formerly present there, and some warming may be expected. That warming will be small and beneficial.